Generate GoldMine CRM reports with more information in less time. 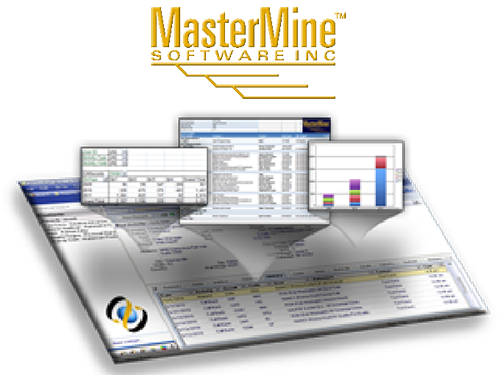 MasterMine makes GoldMine reporting easy and more effective. 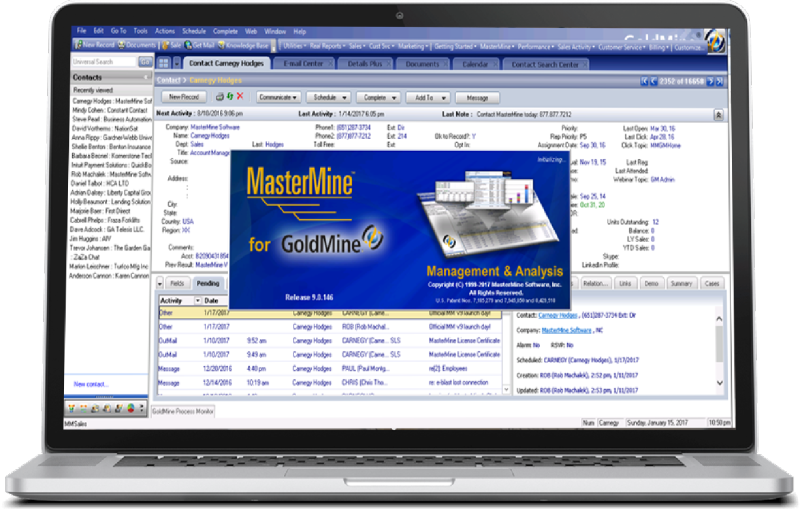 MasterMine is the award-winning add-on that makes GoldMine easier to work within every kind of business. No matter how customized or messed up your database is, it can quickly help you accomplish more with less effort than you thought possible. GoldMine plus MasterMine creates an informational powerhouse out of the CRM system you already have. Making GoldMine work for you, whether it's re-configuring the workflows or cleaning up the data and configuration you have, doesn't HAVE to turn the company upside-down. MasterMine is a lot easier, cheaper, and more effective than either switching to a new CRM or scrapping the existing database. Any user can make MasterMine reports, lists, or graphs in seconds, and control formatting and content, without technical assistance. With MasterMine you can save the day with your nifty pivot tables and filtering skills. With MasterMine, users have access to every area of GoldMine to see what information resides, what is missing, or what needs correcting. With the option MMUpdater add-on, you can actually make the changes from within your reports and force them into GoldMine. Refreshable pivot tables show real-time data from GoldMine, seamlessly to replace the countless hours of Excel exporting, Crystal "programming", dashboard frustrations, and SQL queries. No need to start a new report, just open the report and it will automatically refresh and show your current data.